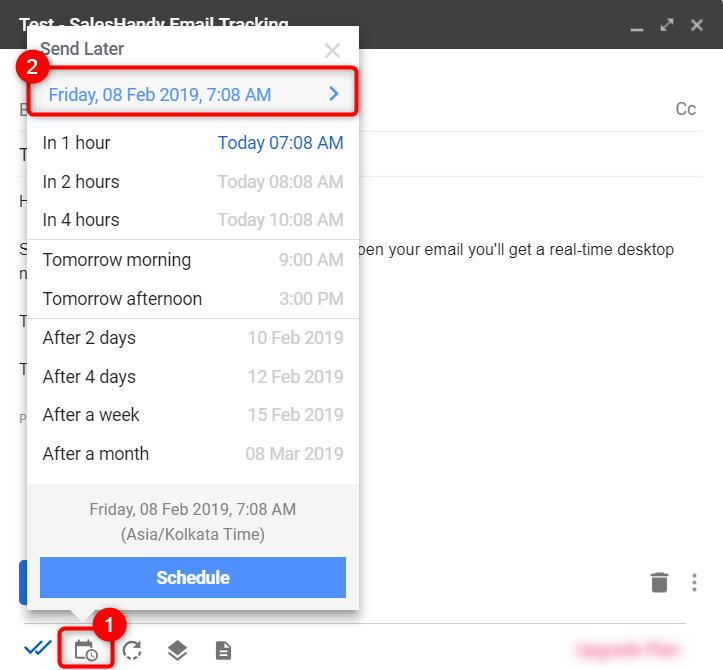 How can I schedule my Email from Gmail? To schedule emails from Gmail, you need to download Chrome plugin by clicking the button below. Step 1: Compose a new email in the compose box and hit the "Calendar" icon on the bottom left side. Select preset values like, “in 2 hrs”, “After 2 days”, “After a week”, etc. according to your desired schedule time. Step 2: If you don’t want to use preset values, select sending date, time and targeted time zone by adding city/country name or GMT value. 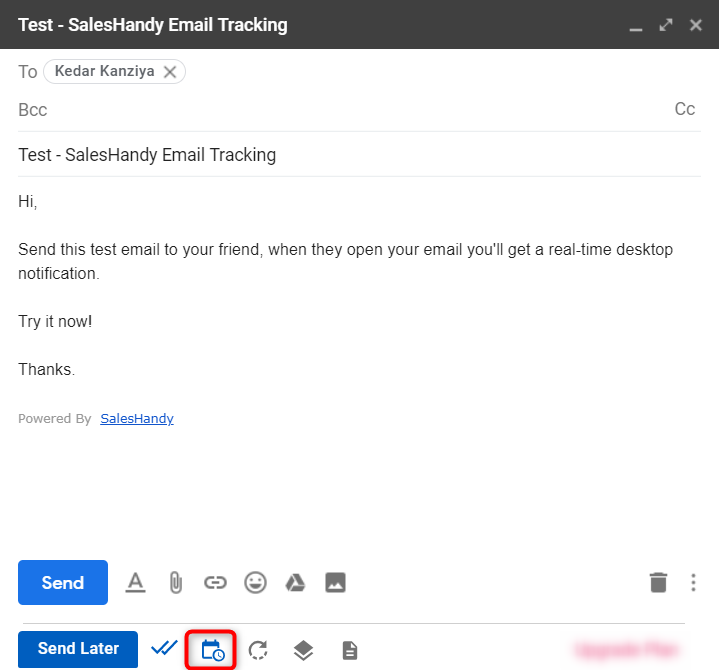 Step 3: You will be able to see the "Send Later" button, below the "Send" button. Once you select a date, time, and timezone and click on “Schedule”and then on “send later”. The email will move into the draft folder and then it will be sent automatically at your desired time.